Mild spoilers for Stranger Things follow. As Stranger Things 3 approaches, one grand mystery persists. "How old is that curly-haired kid really?" We decided to dig up the info so you could go back to bingeing. First, some background: Stranger Things Season 1 took place in November 1983, in Hawkins, Indiana. Then, the Duffer brothers' follow-up Stranger Things 2 took the adventure to late October/early November in 1984, and this summer's third installment is set to take place in July 1985. In other words, the actors are aging along with their characters and the show. For casting director Carmen Cuba, her hunt for brilliant kid actors, which began around April 2015, meant sniffing out talent that could grow into the roles. "We needed every single actor to have a subtlety and an inner life that didn't necessarily need words to define them, and we held the kids and teens to the same standard," Cuba explained to Backstage. "We weren't thinking of them as kid or teen actors in the process -- the Duffer Brothers were really expecting them to be able to deliver a very rich human experience despite what age body they were in." OK, so how old are they? Here's the breakdown. Character’s age: Eleven was born in 1971, and Season 1 is set in November 1983, making her 12 in Season 1, and a year older at 13 in Season 2, set in October/November 1984. Season 3 is set in July 1985, which means Eleven will be either 13 or 14 this season. 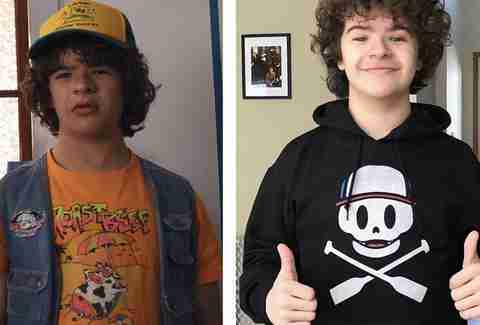 Character’s age: Dustin, born in 1971, is 12 in Season 1, 13 in Season 2, and will be 13 or 14 in Season 3. Other credits: Before Stranger Things, Matarazzo was a Broadway kid starring in shows like Les Misérables. Now he rakes in those sweet, sponsored dollars appearing in Fios by Verizon commercials, and he’ll voice an animal in Hump, an upcoming animated film about a camel. Character’s age: Mike, born in 1971, is 12 in Season 1, 13 in Season 2, and will be 13 or 14 in Season 3. 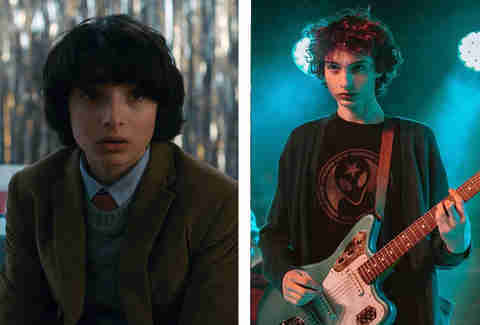 Other credits: Not only is Wolfhard in the genuinely awesome, touring indie rock band Calpurnia, he’s been very busy with a number of acting projects like Netflix’s Carmen Sandiego and It, and will be in the highly anticipated It: Chapter Two, Oscars-primed The Goldfinch, The Addams Family animated remake, and more. Character’s age: Max, born in 1971, is 13 when she first appears in Season 2, and will be 13 or 14 in Season 3. 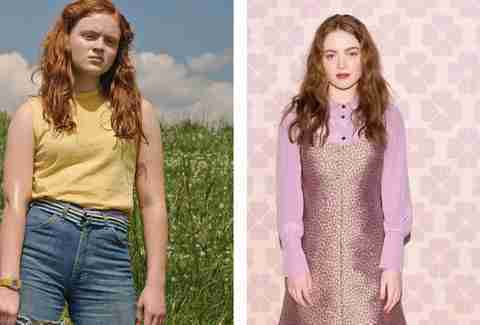 Other credits: Sink was in The Glass Castle, Chuck, some brief TV roles, and will be in the upcoming Netflix horror film Eli. 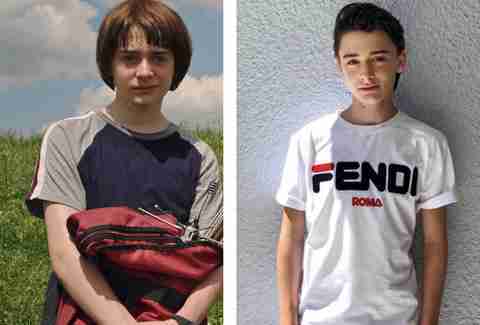 Character’s age: Lucas, born in 1971, is 12 in Season 1, 13 in Season 2, and will be 13 or 14 in Season 3. 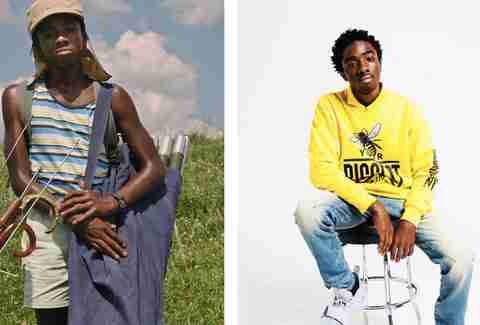 Other credits: McLaughlin also got his start on Broadway, starring as young Simba in The Lion King, and his work also includes The New Edition Story miniseries, Netflix’s great High Flying Bird, and a number of TV series guest appearances. Character’s age: Shown in the Season 2 episode “The Mind Flayer,” Will was born on March 22, 1971, making him 12 in Season 1, 13 in Season 2, and will be 14 in Season 3. Other credits: Prior to portraying Will Byers, Schnapp was in Bridge of Spies and voiced Charlie Brown in The Peanuts Movie, and since then he starred in a Panic! At the Disco music video and will be in the forthcoming films Abe and Waiting for Anya. 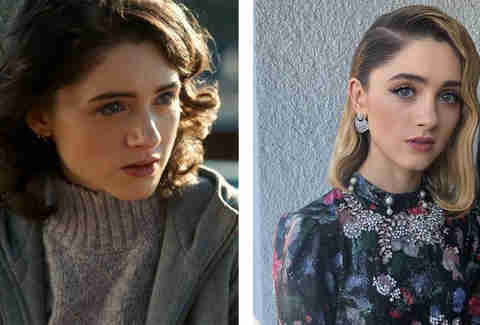 Character’s age: Nancy, born in 1967, is 16 in Season 1, 17 in Season 2, and will be 17 or 18 in Season 3. Other credits: The actress has had roles in shorts and smaller films like I Believe in Unicorns, as well as Velvet Buzzsaw, the recently SXSW-premiered Yes, God, Yes, and this year’s Tuscaloosa. Character’s age: Steve, born in 1966, is 17 in Season 1, 18 in Season 2, and will be 18 or 19 in Season 3. 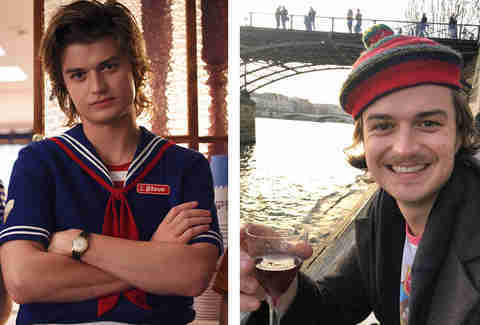 Other credits: Pre-Stranger Things fame, Keery played guitar in the psych-rock, Chicago-based band Post Animal, but since the show he’s gone on to act in Molly’s Game and Slice, and will be in 2020’s Free Guy. 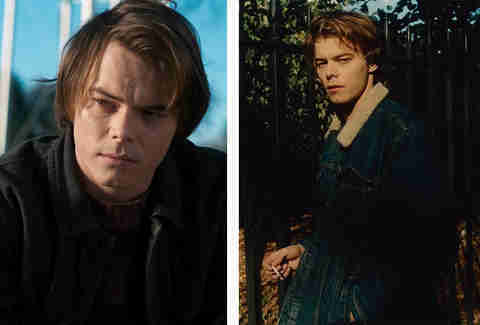 Character’s age: Jonathan, born in 1967, is 16 in Season 1, 17 in Season 2, and will be 17 or 18 in Season 3. Other credits: The British actor’s been in a handful of indie thrillers including The Secret of Marrowbone, Shut In, and As You Are, and will be in the big budget, teen sci-fi movie The New Mutants later this year. Character’s age: Billy, born in 1967, is 17 when he first appears in Season 2, and will be 17 or 18 in Season 3. Other credits: The Aussie actor was in 2017’s Power Rangers, Better Watch Out, the Australian film A Few Less Men, and several shorts. 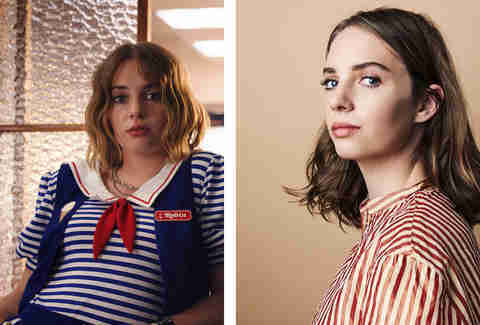 Character’s age: Little is known about the new, Season 3 recurring character Robin, other than she’s an “alternative girl” who works at the ice cream shop Scoops Ahoy with Steve -- but can assume that she’s likely between the ages of 16-19. Other credits: Daughter of Uma Thurman and Ethan Hawke, Hawke is a big up-and-comer in Hollywood who was in PBS’ Little Women, and will be in movies like Once Upon a Time in Hollywood, Human Capital, and Mainstream.